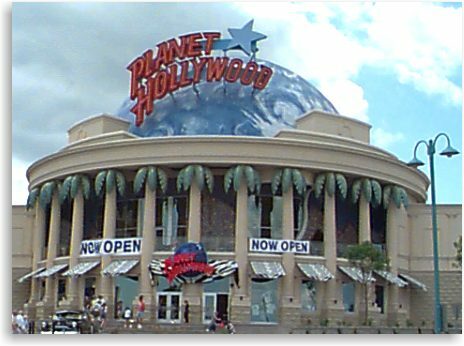 The Planet Hollywood experience is "about creating that aura, that atmosphere of stardom, Hollywood, fame, glory. Great food and drinks, authentic entertainment artifacts, and the glitz and glamour of Hollywood! It's out of this world! Come in and enjoy your favourite drink while being entertained by all the memorabilia of the stars.